On offer is the sixth issue in this new issue of coins. 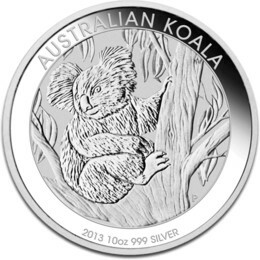 The Australian 2013 10oz SILVER KOALA coin is issued by the Perth Mint in Western Australia and stuck to the same high standard as the British Silver coins. The coin contains 10oz of 99.9% fineness Silver and is housed in a protective capsule to keep it’s proof like quality (See Photo). 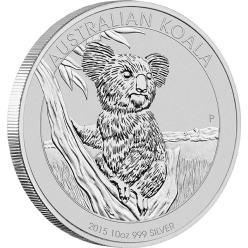 This year, the Koala coins will be available in 1/2oz, 1oz, 10oz and 1 Kilo sizes.